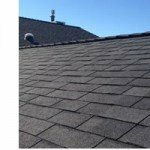 If you are looking for roofing services in the Calgary area, then you have come to the right place. Daza Roofing, is one of the premier roofing contractor in the Calgary area, and the one thing that makes us different then most roofing contractors, is that WE CARE! At Daza Roofing, our Calgary Roofing Contractor technicians maintain a high level of professionalism, integrity, honesty and fairness in our relationships with our customers, employees and suppliers; to ensure the future growth of our company through repeat and referral business achieved by customer satisfaction in all areas. Quality roof construction and roof repair work is our first priority, and we will never cut corners to save time. Our work is guaranteed, and we believe in exceptional customer service. Home and business owners sometimes fail to file insurance claims because they do not recognize the signs of damage. 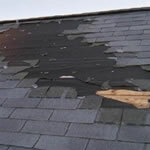 This is often the case with a wind or hail damaged roof. But over time, the damage continues to deteriorate your roof system and will more expensive to fix and probably will not be covered through your insurance. Call Daza Roofing for a FREE roof inspection to insure that your home or business has not been damaged by recent storms. Call today to schedule a storm damage inspection. 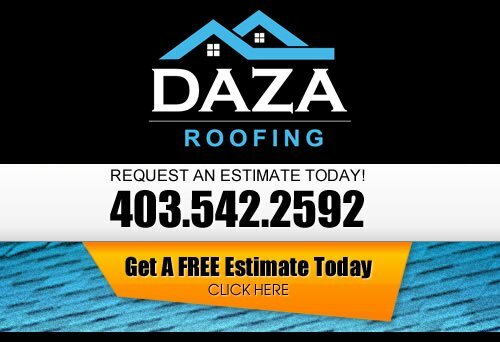 Daza Roofing is a Calgary roofing company providing of high quality roofing systems. Other roofing contractors provide low prices on materials because they either provide sub-par products or do a quick and careless job of installation. We may not offer the lowest price but, we do offer a quality of product and installation that will last and be able to weather to storms. Call Daza for a detailed roof repair or replacement quote today.